Fiona Campbell is a well-known and well-respected PR in the UK who represents an exciting portfolio of wineries with productions as diverse as Champagne, Port and Tokay. In this interview, we find out why Fiona has been lured into the world of wine and why – despite her best efforts – she just isn’t ready for a life of making jam. What led you to work in wine? I started out in advertising, and then became a journalist (at one stage as the women’s page editor of an international evening paper in the Far East!) Then took up copywriting, and it was while I was working for an agency in Bristol that I was asked to run a campaign for Deinhard as part of their stand at Bristol Wine Fair – remember that? Peter Hasslacher, Chairman of Deinhard, asked me to handle their ongoing PR. It was quite a leap of faith for him as: a) I knew very little about wine, except how to drink it; b) I lived in the West Country, not London; and c) I was a woman – there were very few of us in the wine trade in those days! But surprisingly it worked, and I shall be eternally grateful to both Peter and Michael Hasslacher for this start. I became fascinated by the different facets of the trade, and as well as their premium German wines, I also took on their agencies Taylor’s Port, Famous Grouse and Pommery Champagne. That’s how my first wine and food PR company, Matter of Fact, was born, which later morphed into The PR Connection – with a portfolio that included the then-fledgling Majestic Wine Warehouses, the generic Wines from Spain accounts, Paragon Vintners (with Quinta do Noval, Canard-Duchêne and Krug), La Gitana Manzanilla and the AXA Millesimes properties in Bordeaux and Hungary. 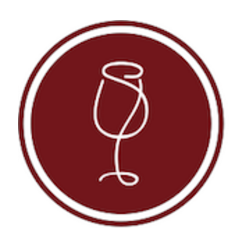 Like so many, I got into the wine world by happy accident, fell in love with it… and have stayed in it for over forty years! How is a day in the life of Fiona Campbell? I finally sold The PR Connection to Grayling in 2001 and retired to the country to make jam. I lasted six weeks. Thanks to Christian Seely of AXA Millesimes, I was soon back in the wine world, as a freelance PR. So now – with the wonders of modern technology, which I have still not completely got my head around – I work from home running campaigns, organising events and tastings, launching brands, setting up press trips and generally making a nuisance of myself. No two days are the same in my life – which is what I thrive on. It could be researching and writing a feature, fulfilling sponsorship elements, taking part in overseas conference calls, travelling to London or further away for meetings, keeping up with press contacts or just walking my dog in the fields for inspiration… It is very varied, and I love it. 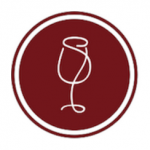 You represent several wine brands and producers, would you like to highlight a few for members? Currently, I look after all the properties owned by AXA Millesimes – the Bordeaux Chateaux Pichon Baron, Pibran, Petit-Village and Suduiraut, as well as Domaine l’Arlot in Burgundy, Disznoko in Tokaj and Quinta do Noval in the Douro. And Christian has just bought Outpost Wines in the Napa to add to the portfolio. I have also handled the UK PR for the major cork producer Amorim for the past fourteen years, consulting too for the generic APCOR campaigns. So I’ve had to become quite scientific in my knowledge and approach to cork closures. 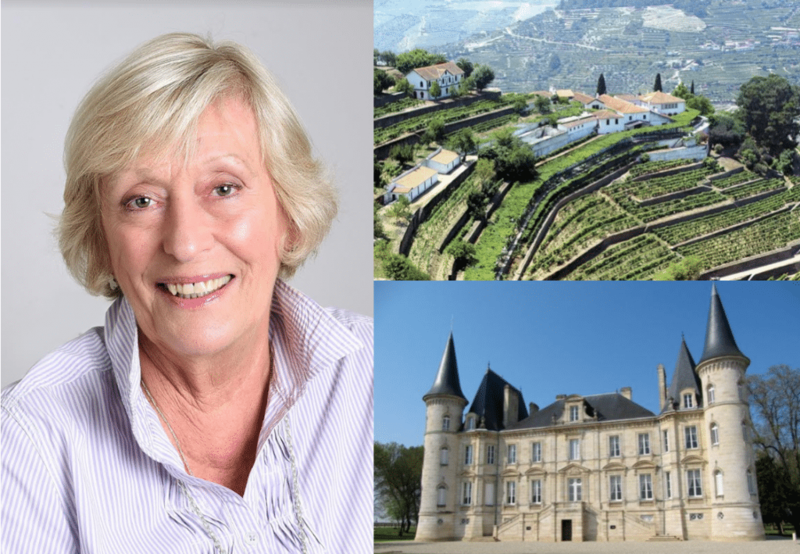 Madeleine Waters, one of my colleagues from The PR Connection, lives nearby and together we look after Champagne Deutz, perhaps one of France’s best-kept secrets but now gaining a premium foothold in the UK, thanks to agents Gonzalez Byass. And I have just spent three years with Exton Park Vineyard as they launched their English sparkling wines. When you aren’t busy organising tastings and press trips, what do you like to do to unwind – and what will we find you drinking? I’m not sure it is necessarily ‘unwinding’ but I love cooking and having friends round for supper – starting off with a glass of Champagne Deutz and rounding the evening off with one of Noval’s treasured Colheitas or the 20 Year Old Tawny. Bliss! Then it is the usual hobbies – golf, gardening, horse racing at Cheltenham and visiting the Theatre Royal in Bath. But I draw the line at knitting……. Photo above: Fiona Campbell; Quinta do Noval (top right); Pichon Baron (bottom right).